Two white female high school students from Texas emailed letters to classmates and teachers at their school apologizing for a racist song that they recorded, in which they can be heard rapping about lynching “n—gas,” according to Raw Story. “N—gas, n—gas, n—gas, they always look at me, I want to kill them now, I want to hang them from a tree,” one of the girls raps at the beginning of the song, according to an audio recording posted by Daily Kos. 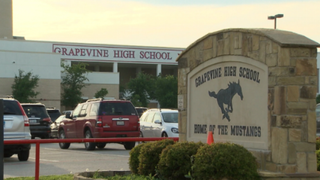 Both students attend Grapevine High School in Texas. Neither of their names has been released to the public. The girls made mention of the stereotype that black men have larger-than-average penises and also made homophobic and racist comments about Hispanic and Asian-American students, according to Raw Story. The recording was reportedly made in June 2013 but recently got leaked on social media. The students apologized in their emails and said that they’re not racists. The girls said that they did not understand the magnitude of social media at the time the recording was made and did not know how big an imprint the song could have on the school community and in their lives. They also said that in 2013, the country was not embroiled in a dialogue about race as it is today. Shannon Tower, the school principal, expressed her disgust with the song in an email to parents but also said that since the song was recorded while school was not in session, the school didn’t have “legal authority” over the matter. Tower said that she met with student leaders to think of ways to discuss the song and to foster a culture of diversity at the school. Read more at Raw Story and Daily Kos.